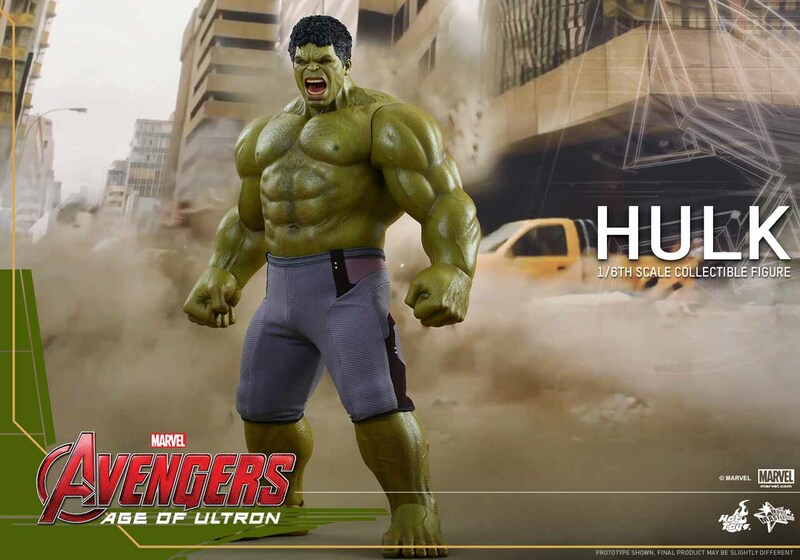 Hot Toys has revealed its Avengers: Age of Ultron 1/6th scale Hulk Figure! The movie-accurate collectible figure is specially crafted based on the image of Hulk in Avengers: Age of Ultron featuring a newly-developed screaming head sculpt with rolling eyeballs, and a specially painted muscular body. 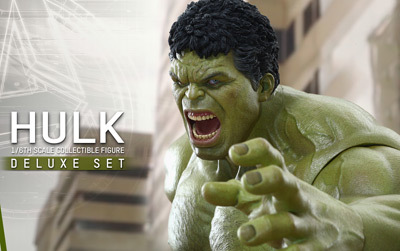 The figure will also be available in the Hulk Deluxe Collectible Set. The deluxe set features two newly-developed angry and screaming Hulk head sculpts with rolling eyeballs, a specially painted muscular body and a newly-sculpted interchangeable “Hulk smash” pose upper body. You can check out photos below followed by more details on the Q3-Q4 release!